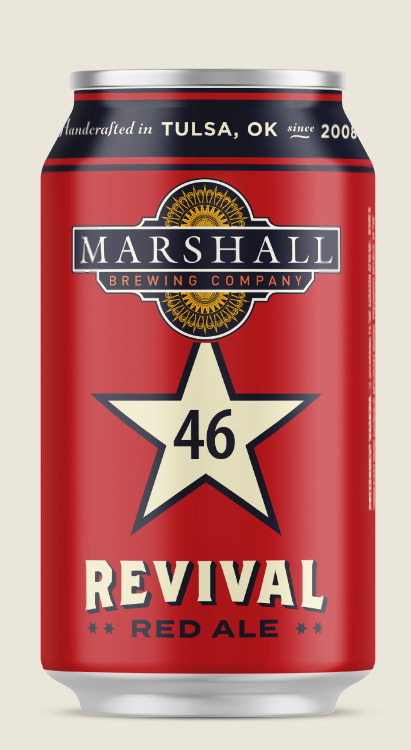 Revival Red Ale is an American Red Ale which pays homage to our great state of Oklahoma (the 46th state to join the Union). This sessionable ruby hued ale is perfectly suited to be enjoyed with the renewal that Spring brings to the Red Dirt State each year . A balanced blend of six malts gives this ale a medium body and a savory malt base. Chinook and Cascade hops shape a wonderful citrusy hop profile and the addition of Centennial dry-hops enhances the fruity aroma. Carne adovado highlight the hop intensity of Revival Red Ale.